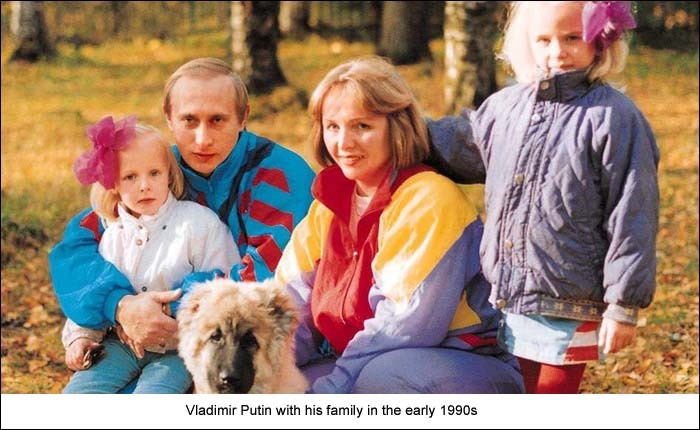 These photos of the Russian president are over 30 years old. Some of the people in them only vaguely resemble who they are today. When the photos were taken, they were unknown. 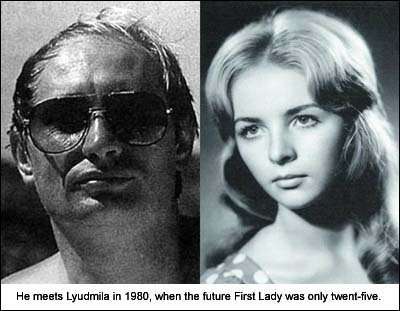 Vladimir and Lyudmila Putin married in 1983, divorced in 2013. Unlike most of his foreign counterparts, the Russian president Vladimir Putin is extremely protective of information about his personal life. 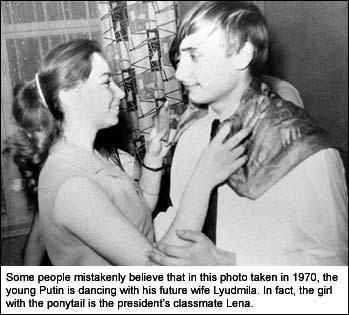 The media referred to him as one of the most secretive politicians - only a few pictures from the "past life" of the Russian president exist. It has to be said, having respect for your private life and an understanding of what constitutes "privacy" which relates to ownership and high value, is not the same as being secretive, which relates to having something to hide. President Putin is a private person. He doesn't believe he should be forced to put those things in his life which are of highest value to that personal life, on display for all the world to paw over, comment about, dissect and critique. Those parts of his life are of far too high a value to him to do so. This is not "secretiveness" which in English and current idiom implies having something - often dark and or guilty - which one needs to hide aimed at deceiving others in order to achieve a personal gain. He is not secretive. He is private. As are many of us. That's all. These photo's are not unusual. They are all over the Internet, in banks of Images of Putin, in "Tributes" found online, and which are a build up of photos from those same Image Banks. You can find hundreds more. This is a video put together of a few more common ones, with some minor comments. Original posted at Anews and translated by Google.